You know why I don't particularly like muslins? 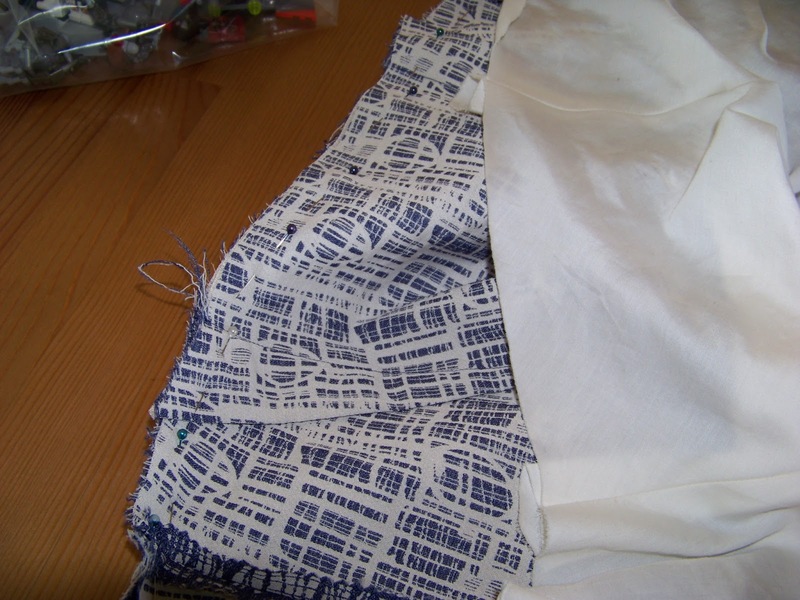 Because by the time I got the fit right - or rightish, let's face it, I have little idea how things are 'supposed' to fit - anyway, by the time the fit is doable I have lost all enthusiasm for the projects. I have in fact got several skirt muslins ready to go, I have even paired them up with all the correct fabric and notions and yet they are sitting nicely in their little bag waiting patiently for the muse to return ... sigh. I was determined to keep going with this project so here we are. I cut the lining on the bias, so that the front piece has a bit of stretch like the gridlock fabric. It also stabilised the back piece where it crossed over. Originally the cross over is on the bias and now on the lining it runs with the grain, so hopefully it'll be less likely that it stretches out on that bit. 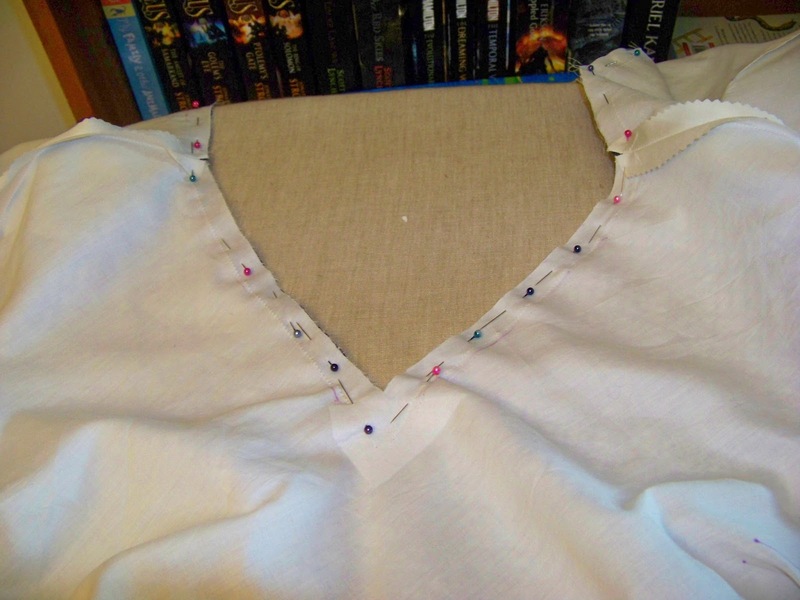 The original crepe dress is not lined, but due to the poly I really really really needed it lined. I was going to interface the whole neckline, but the bulk was a bit too much, so I just interfaced the tip of the V to ensure stability. Also I pinked the seams within the lining, because both fabrics frayed like mad ... is one supposed to finish seams that are within the lining? I under-stitched the neckline and changed the darts of the lining into pleats to allow more movement - I think I might have read that on someone's blog, but I can't remember where. Looking great! Can't wait for the skirt!